There's too much swearing and general rudeness out there on the web and in the blogosphere (I know this because a nice man from the BBC has just said so). It is a symptom, so I'm told, of indiscipline, poor education and general lack of courtesy in society today. With this in mind, I must apologise for I too am about to use an expletive; a word that for many years, certain within archaeological circles, was considered rude, offensive and thoroughly objectionable (those of a quiet disposition should look away now). Funny, but like all swear words of the past, this particular example now seems rather tame. Take it from me though, had you used this in polite archaeological society 20 years ago, you would have encountered outrage, shocked looks and, fair to say, some considerable disgust. 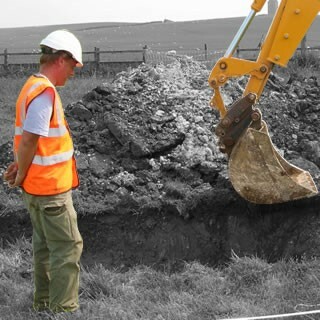 Throughout the 1980s, the true (and presumably rather shocking), nature of archaeological excavation was disguised through the use of Archaeospeak (double-speak), verbal camouflage of the highest order which included such gems as: “field evaluation”, “heritage mitigation”, “limited ground intervention” and (my personal favourite) “preservation by record”. Any attempt to “dig a hole” was met with frowns and general disapproval. The maxim that “all excavation is destruction” was repeated by all those in the archaeological profession like a mantra. All this may now seem rather extreme, but, as with all things archaeological, one must be aware of the context. By the late 1980s, Britain’s urban boom had ripped the heart out of many cities, whilst large numbers of rural sites had been obliterated in the drive to increase food production. So severe was the damage, that many were rightly moved to consider the blanket preservation of our buried past, the worry being that if nothing was done that there would be little heritage left for future generations to enjoy. Excavation, in hindsight, appeared to be destructive, outdated, misguided and downright wrong. All well and good, and, it is fair to say, that Britain’s heritage has benefited enormously from the enlightened attitudes of bodies such as English Heritage, Cadw, Historic Scotland and the National Trust, but, one must ask, whether the pendulum swung too far. 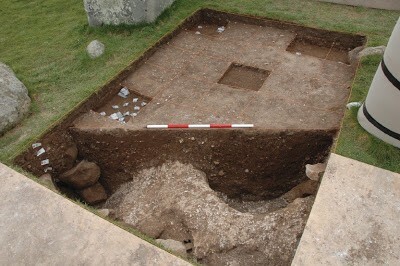 Non-intrusive forms of examination, such as geophysics, aerial photography and surface collection survey ('fieldwalking' to you and me), have all significantly aided the discovery and interpretation of new sites, that is true, but only “limited ground investigation” can answer the intractable issues of dating, phasing and chronology. Only “preservation by record” can reveal the buried evidence and help us truly understand our protected past. 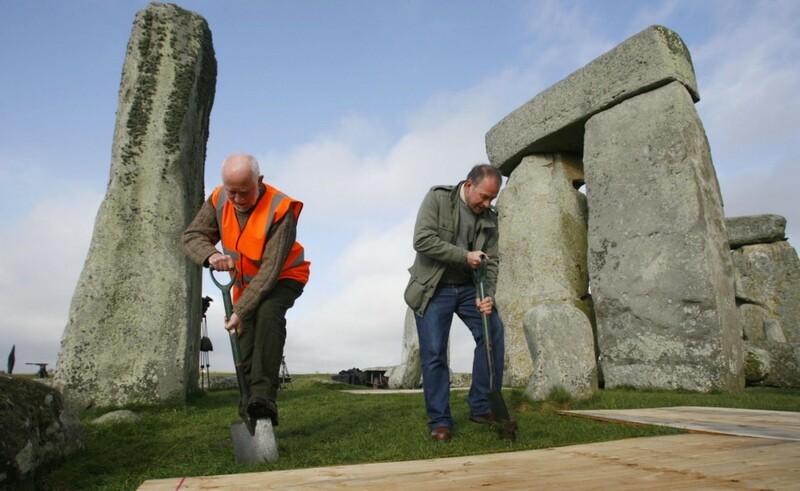 There is now a slight but detectable shift in policy emphasis, something recently demonstrated at Britain’s most famous archaeological monument: Stonehenge. Twenty years ago the thought of an excavation here was inconceivable, and yet under the guidance of first Bournemouth and then Manchester and Sheffield Universities, and with the full support of English Heritage, the National Trust, local druids and other interested parties, that is exactly what has happened. A whole new series of trenches have been excavated through the hallowed turf of this sacred monument and down into both previously examined and undisturbed features. 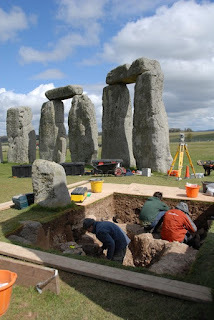 Well, despite all previous work at Stonehenge, we still have no clear idea of when the primary phases of the structure (such as the bluestone circle) were conceived, nor indeed when they were dismantled nor what form they originally took. Well-targeted excavation is the only real and sensible way to resolve issues as fundamental as these. The new trenches are by no means huge (the first cut in 2008 was only 3.5 by 2.5m), but as pieces of key-hole surgery they are ideally placed and the preliminary results of all the new projects here have already revolutionised our understanding of this iconic monument. Many other sites of National and International Importance around the UK could also benefit from this more enlightened stance concerning conservation status, for large numbers of monuments remain undated and poorly understood. Ultimately, doesn’t preservation seem rather pointless without understanding what, exactly, it is that we are preserving?